Dr. Olufemi Oke, AED’s Chief of Party for the USAID-funded Nigeria MAPS project, passed away from natural causes on April 15, 2011, in Lagos, Nigeria. He was 58. Born and raised in Nigeria, Dr. Oke is survived by his wife, Bolaji Oluremi, and two children, Laide Motilola and Olumuyiwa Temitope, ages 25 and 24 respectively. Among his more recent accomplishments, Dr. Oke spearheaded the distribution of insecticide-treated bed nets, benefiting more than one million families in two Nigerian states. In addition to his significant contributions to the Nigeria MAPS project, Dr. Oke will be remembered fondly by project staff, colleagues, and friends for his broad vision, humility, and peaceful nature. He was known for his strong commitment to helping others, dedicating his career to improving the lives of fellow Africans. 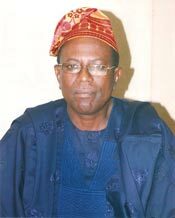 Dr. Oke held a Bachelor of Medicine, Bachelor of Surgery and Masters of Public Health from the College of Medicine at the University of Lagos, Idi-Araba, Lagos, Nigeria. During his esteemed career, he worked for the Nigerian government, the World Health Organization (WHO) in Namibia, and a number of donor-funded health projects in Nigeria, including with Family Health International (FHI).